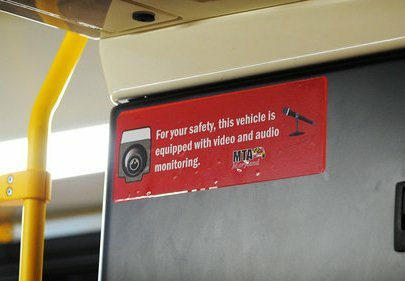 What Works in Ft. Lauderdale, Will Work in St. Petersburg: Earlier this year, this blog offered a post on a video surveillance bus in use by the Ft. Lauderdale, Florida Police called the Peacemaker. 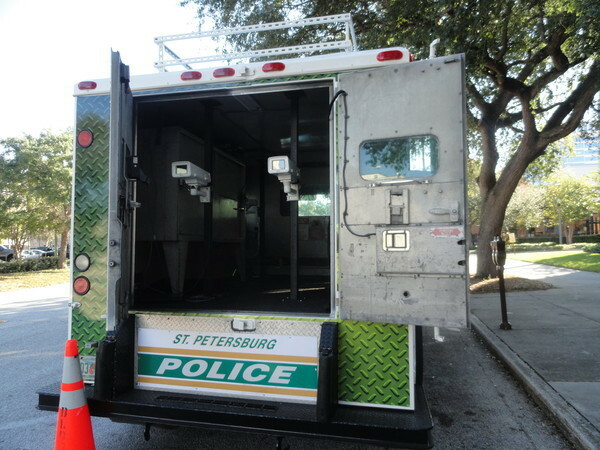 Looks like St. Petersburg, Florida liked the idea - but this time an armored truck is the platform for keeping an eye on the malcontents. Keeping Up With the Jones: Heck, if St. Pete's working to leverage the capabilities of video surveillance, maybe its time to revisit the issue for a place like Los Angeles. Sure enough, LA's out to fix some broken cameras and add more in the downtown. "I Did Not Say That About The Bus Driver! ": No doubt things are tough in Baltimore. This past year there have been more than a few well publicized reports of unprovoked beatings of strangers taking place in public places. So, in the name of Public Safety, video recordings of all riders on Maryland Transit Administration (MTA) buses in Baltimore will be soon joined by voice recordings. We Don't Need No Stinking Warrant: The limits of what can be collected by use of technologies that are years ahead of the law continues to be explored. Indeed, two Packer fans are sitting in jail because the DEA installed cameras on their property without a warrant and caught them cultivating a substantial marijuana patch. However, unlike the warrantless GPS tracking device case from earlier this year, this time the court sided with the prosecution. We Want the Map of Your Hand: Every time a foreign traveler shows up at a U.S. port of entry, they must provide some type of biometeric data to gain entry - usually a digital photo and scanned fingerprints. 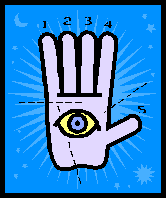 Now, entities from doctor's offices to schools are moving to employ that same approach for us folks already inside the borders - except this time they'll be looking for the "map" of your hand. All for this week. Have a great weekend! It's interesting to know about this development. Thank you for reporting on it. So far, I don't see one in my neighborhood.